“What would a Catholic take away from [the Metropolitan Museum’s Heavenly Bodies show]? A Catholic would see how the Catholic imagination has influenced the imagination of artists, in this case fashion designers. So, as you would respect the various ways that a painter or a sculptor translates his affinity to the Church or to religious imagery or symbols or iconography, you would want to give fashion designers the same respect, because they’re artists. If someone shows you a painting or a sculpture or a dress that he or she has made and says, ‘This is something I’ve been working a long time on, and it comes out of my love for the church or the way that my Catholic upbringing has affected me,’ you’re not going to say, ‘I reject this.’ It’s highly subjective. It’s also highly creative, and so we need to give the artist the benefit of the doubt. Moreover, many of these creations are simply beautiful. I didn’t find them offensive at all. One small detail that really impressed me [during the preview] was that the eyes of the mannequins are closed, which gave the exhibition a kind of prayerful atmosphere. The most surprising thing was the number of designs that took their inspiration directly from priests’ vestments or habits of the religious orders. Priests’ cassocks are simple. I would not have thought they would translate into women’s wear, but I’m also not Balenciaga or Yves St Laurent, so that’s not the way I think. Another thing I noted was that the religious parts of the wall text was just as intelligently written as the fashion parts. The Met got all the terminology right and they really did their homework. In many ways, I thought the exhibition was very touching, because you knew, if you read the placards, that some of these designers were brought up Catholic. I was thinking, as I walked through it, what part of this designer’s Catholic childhood is this evoking for him or for her. 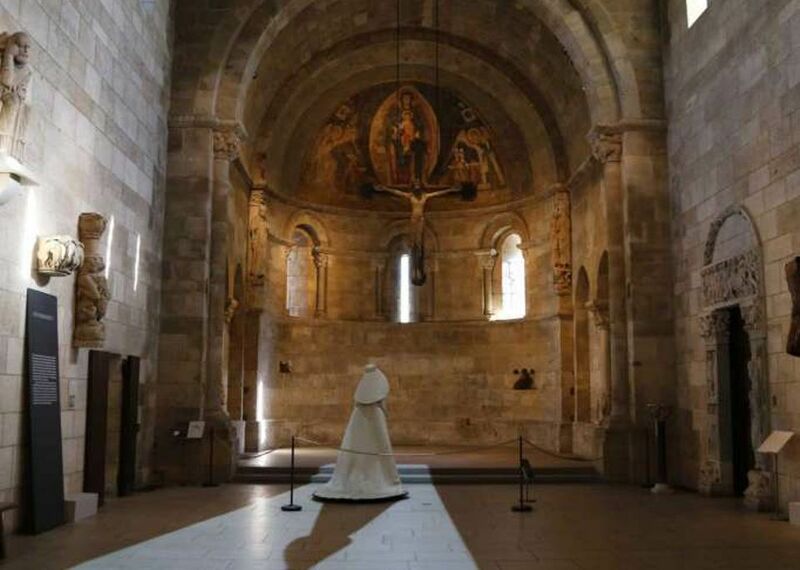 Perhaps the designer went to church one day and saw a Dominican nun sweep by in her habit, and found that really beautiful and always remembered that, and then translated it into a dress. I hear these kinds of things from Catholics all the time, that something that they saw when they were very young imprinted itself on them, and they were able to use it later on in life. That’s the case whether you’re a painter, a novelist, or a fashion designer. • The Reverend James Martin, S.J is a Jesuit priest, author and editor-at-large at America magazine. He is also a consultor to the Vatican’s Secretariat for Communication and advised the Metropolitan Museum on the display for Heavenly Bodies.